It’s no secret how much I loved Kara Isaac’s debut novel, Close to You, but the follow-up story coming October 11 is special and enchanting in its own way. 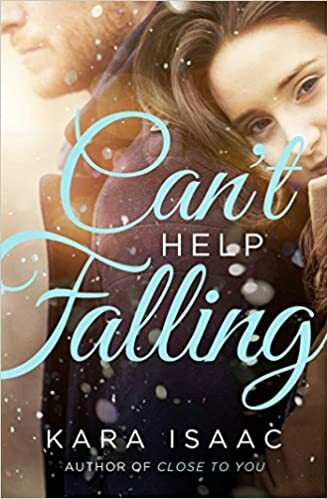 Goodness, I loved Can’t Help Falling so much with its mixture of characters dealing with hard pasts, sizzling romantic chemistry, Kara’s signature humor, redemption, and of course, all the nods to Narnia. 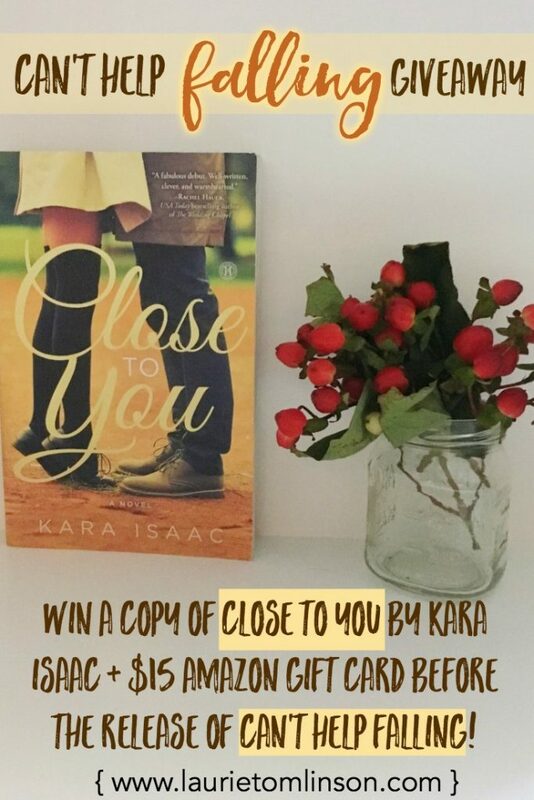 To celebrate, I’m giving away a copy of Kara Isaac’s first book, Close to You, in which a disgraced scholar running from her past and an entrepreneur chasing his future find themselves thrown together—and fall in love—on a Tolkien tour of New Zealand. 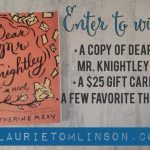 I’ll also throw in a $15 Amazon gift card you can use for all of your anticipated fall reads. Simply fill out the Rafflecopter below before October 1. 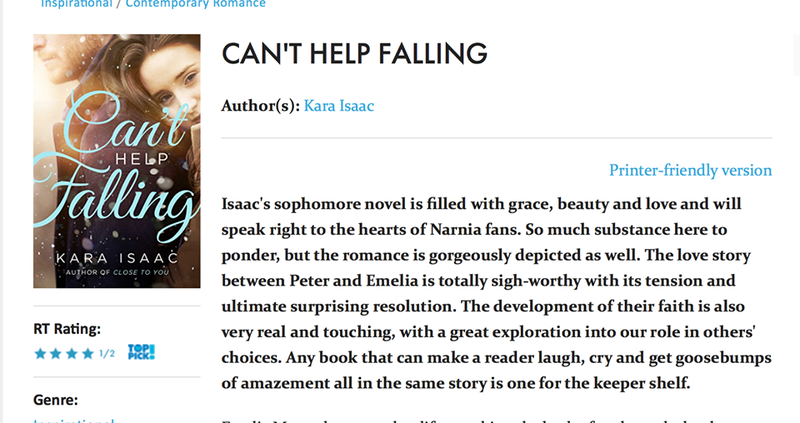 Good luck, and seriously, if you haven’t discovered Kara Isaac, be sure to add these books to brighten up your fall and winter reading list! 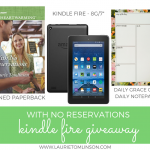 With No Reservations Kindle Fire Giveaway! Sara Ella’s Unblemished, Tasha Alexander’s new Lady Emily story (although I’m STILL trying to get caught up on the series! ), and Lauren Oliver’s Replica! You Asked: What books are you most looking forward to this fall? I’m also looking forward to The Silent Songbird by Melanie Dickerson, which will be one of my daughter’s Christmas gifts, plus Susan May Warren’s latest. Dawn Crandall’s The Cautious Maiden, Ronie Kendig’s Accelerant (Abiassa’s Fire Book 2), and Twilight at Blueberry Barrens (A Sunset Cove Novel Book 3). Thank you for the giveaway. I’m looking forward to reading all the new Christmas books coming out. It’s still so hot here in Alabama that if I read about snow falling I might can psych myself out to think it’s cooler here than it is. I love to read seasonal novels this time of year, so I’ll be seeking out some fall/winter/Christmas books soon! Thanks for the great giveaway! 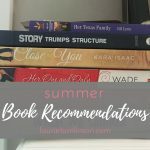 Keep Holding On by Melissa Tagg, The Cautious Maiden by Dawn Crandall, Wild Montana Skies by Susan May Warren are some I’m looking forward to. There seems to be a lot of intriguing ones releasing soon. And of course, Can’t Help Falling. 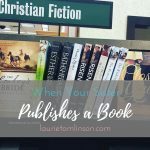 So many wonderful books releasing this Fall – I also always enjoy the Christmas themed books that usually begin releasing in October. 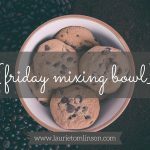 Thanks for the wonderful giveaway opportunity, Laurie!! I’m looking forward to reading Strong Is the New Beautiful: Embrace Your Natural Beauty, Eat Clean, and Harness Your Power by Lindsey Vonn. 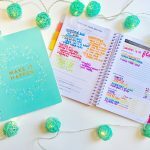 I’m so behind in my reading, I’m looking forward to catching up w/last Fall’s booklist! I just saw a list of fall releases and Above All Things by Deborah sounds really good!